Why don’t people invite people to church? Do these reasons form a toxic creed? Are we paralysed by a fear of rejection? What would Christ say about rejection? What is wrong with “no”? What is wrong with feeling vulnerable? We were challenged not to focus on success but instead focus on faithfulness. We were also challenged not to worry about whether we get a “no” or a “yes” – we plant the seeds, it is God who does the rest. We tried out Table Talk for Youth last night. I thought it was really good – we had a really interesting conversation for an hour about social media, cyber bullying, teenage issues and much more. I learned a huge amount about what teenagers face and all of us had the opportunity to talk freely about questions we were interested in. I think this resource is a great way of getting to know each other. There was no spiritual discussion in this one but I can see that some of the other topics would lend themselves to this more easily. Can people read in church? Lighting levels for the congregation generally need to be of at least 150 lux. Elderly people need six times the lighting levels necessary for a teenager to be able to read comfortably. There were other interesting tips on lighting there too, like it is boring to have the same level of light everywhere, and that the highest concentration of light should perhaps be at the altar where the action is happening…..
We had a lovely Parish weekend away at Wychcroft and Dianna Gwilliams who is our Dean came to spend some time with us. One question that she asked was how we include people who have mental illnesses in our churches. It was a question that we pondered a little later on in the evening. and indeed the whole of the Lenten liturgies are difficult for those who already feel unworthy and hopeless, they come to church feeling bad and leave feeling worse. Also, it is hard to do what everyone else is doing during the service when you are depressed, but even harder not to. An example was given that it may be hard to stand during the Eucharistic Prayer, so someone may choose to sit down, but of they are depressed then they may feel like everyone is judging them for being seated, and the internal dialogue in their head will be shrieking that they are drawing attention to themselves. The same person when they are well can either stand or sit and all is well. I once experienced worship where there was a thin, dark curtain between the worship and the coffee area. I was feeling depressed but found I could sit in the coffee area and listen to the worship but felt free to leave without being seen, which paradoxically enabled me to stay. One conclusion we reached was it is always helpful if there is no compulsion. I’m not sure what we can do about Lent though… any ideas? Our community is in grief at the moment, a teenage lad has died and everyone’s thoughts and prayers are with his family and friends. Grief is the price of love. 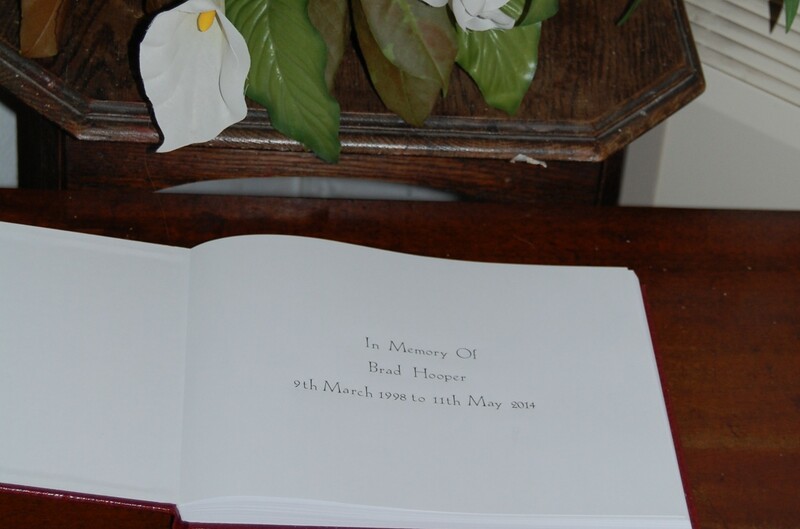 It is the ‘cost of commitment’, is how Colin Murray Parkes entitles the opening chapter of his work Bereavement: Studies of Grief in Adult Life. If we love, we grieve, but no one expects to grieve for someone so young. I feel afraid, will this happen again? Will I feel like this forever? I think we all need to ‘do’ something – we can’t think our way through because our minds are a mess – a tumult of thoughts and emotions that we can barely understand. But physically we can ‘do’ something, we can lay a wreath, we can write down a memory, we can sign a book of condolence, we can light a candle, we can attend a funeral. In all these things we find some way of expressing ourselves, even in the depths of the abyss of grief. Personally, I wouldn’t discourage people buying flowers for a funeral because it may help them. The Good Shepherd or the Hired Hand? I really loved Pray As You Go today – worth a listen. Jesus talks about the differences between the good shepherd and the hired hand – in the degree of commitment and responsibility, the depth of relationship, the time and care, and even love, that is given – differences that set Jesus apart from false prophets, but that might also prompt me to question myself. What does the image of the good shepherd and the hired hand say about my commitment, the depth of my relationships, the time and care and love that I give? It reminded me of something that the Diocesan Youth Adviser said on a recent training course that here in Surrey we are used to paying for things. We don’t want to do our cleaning so we hire someone to do it for us. We don’t want to do youth work so we hire someone to do that too. But how does it make the youth feel? They can see right through it. He then went on to say that youth groups that have 5 or more members of the congregation helping out keep 80% of the youth into adulthood. Those that have just the youth leader or vicar and one other keep 10%. It is all about the quality of the love that is shown, and it is shown in commitment. So if you were to choose a favourite bible quote it might be this one from Jesus – “I have come that they might have life and life in abundance”…or it can be translated life in all its fullness. I had a wonderful spiritual experience yesterday and it made me rejoice, made me thank God for the abundant life that God gives us. Do you want to know what the wonderful spiritual experience was? Well I went to a church service that I didn’t lead – it was fantastic – I heartily recommend it to you. It was, of course the celebration of 20 years of Women’s Ordained Ministry and I didn’t really want to go. I was tired. I had other things to do. I didn’t see the point of it. I would have got out of it if I could. But I couldn’t because I had RSVP-ed, and thank God for that. It was a celebration of all ministry, men and women’s ministry, lay and ordained ministry. I was on the verge of tears throughout the whole service, it was so affirming of all, so liberating and so healing. I could sense God’s grace as if God was as close as my next heartbeat, I sensed God’s Spirit within me and without. And I heard stories, from men and women of God’s incredible grace and joy even in the midst of pain and suffering. It struck me that if we want to know about Life in All its fullness we need look no further than the person sitting next to us, we need to share our stories of grace. I was humbled and challenged. All through the service my own story, my own testimony, washed over me, reminding me of the immense grace God has showered on me and how rich God has made my life, indeed how God has given me life in all its fullness and yet I so often forget, I forget to be thankful. I’d like to share some snippets of that experience with you if I may. First of all I remembered how I came to faith, I didn’t want to be a Christian, I didn’t want to believe in God and yet God became real to me. It transformed me from someone who desperately hoped that they would die each day to someone who believed that God had a plan for them. And that is one of the immense graces that God bestows upon us – life in all its fullness means that God has a plan for us. Then I remembered how after I became a Christian I found myself wanting to share this amazing gift of God’s love with others. They were down and outs, criminals, in and out of jail. They were outcasts from society and yet I was convinced that they weren’t outcasts from God’s love. God increases our love for others because we know how loved we are by God. This is life in all its fullness that we love others because God has loved us. Fast forward and I am terrified that I think God is calling me to the priesthood. Not me. That’s impossible. For a start I have a terrible past, secondly I’m not sure I believe in women priests and thirdly I have three small children and my vocation is to look after them. “No” I say to God, for a year I say “No” but eventually God’s calling is so heavy upon me that I put out a fleece. “God, if you can send someone who I trust and respect to tell me to think about a calling to the priesthood then I will consider it, but only then.” The sense of calling and the heaviness of God’s hand upon me disappeared. I forgot all about it. It was lovely. A week later, by some remarkable set of weird happenings I have a woman priest drinking coffee in my lounge and out of the blue she turns to me and says the very words, “Lesley, you should think about a calling to the priesthood.” Life in all its fullness takes us out of our comfort zone and makes what we think is impossible, possible. After my curacy I applied for a job as a vicar, convinced that it was the right one for me. I loved the interview process and hoped that the job would be mine. The phone call told me that I was the best candidate and that I had performed brilliantly at interview but they didn’t want a woman. Rejection and fear overwhelmed me. This job had been a perfect match. What if no one would employ me because I was a woman? All the many painful moments of having my ministry rejected because of my gender became a sort of depression. But then God called Alan and me here and it has been a wonderful place of healing. Looking at my six years of ordained ministry makes me realise that it is like being poured out completely and yet in that service of others come the most amazing blessings. Life in all its fullness is not always easy – sometimes we are like Paul, listing the beatings, the abuse, the shipwrecks and yet we are still in the centre of God’s grace if we can only see it. The service reminded me that I have been lay and ordained, paid and unpaid in the service of God, and the call to service is the same. It is a call we all must answer, for to be a disciple means to be poured out for others, to reflect the grace and love that we have been given. Sometimes people say to me “I’m just a lay person.” This phrase should be banished, each of us has a calling and all are equal, there is no “just” about it. Sometime people say to me “I’m just a volunteer.” But there is no mention of volunteers in the New Testament – there are only disciples, disciples who were called to make Christ known, we aren’t volunteers, we are commissioned by God, we are living stones, we are an army, we are a brotherhood, we are a family, we are a body. Finally, the service reminded me that to have life in all its fullness we need to breathe in God’s love and God’s grace so that we can breathe out in ministry and mission. I am the worst culprit for not doing this but I imagine that many of us suffer from this trait. God loves you deeply and God wishes you to have life and life in abundance. That isn’t an easy life, but it is one where you will know the riches of God’s grace. I pray that you may know this reality today and every day. Amen.